SolarCity is promising 1,500 jobs at its currently under construction South Buffalo location, which marks a big turnaround. For nearly three decades there seemed to be little hope for the vacant, decayed brownfield. 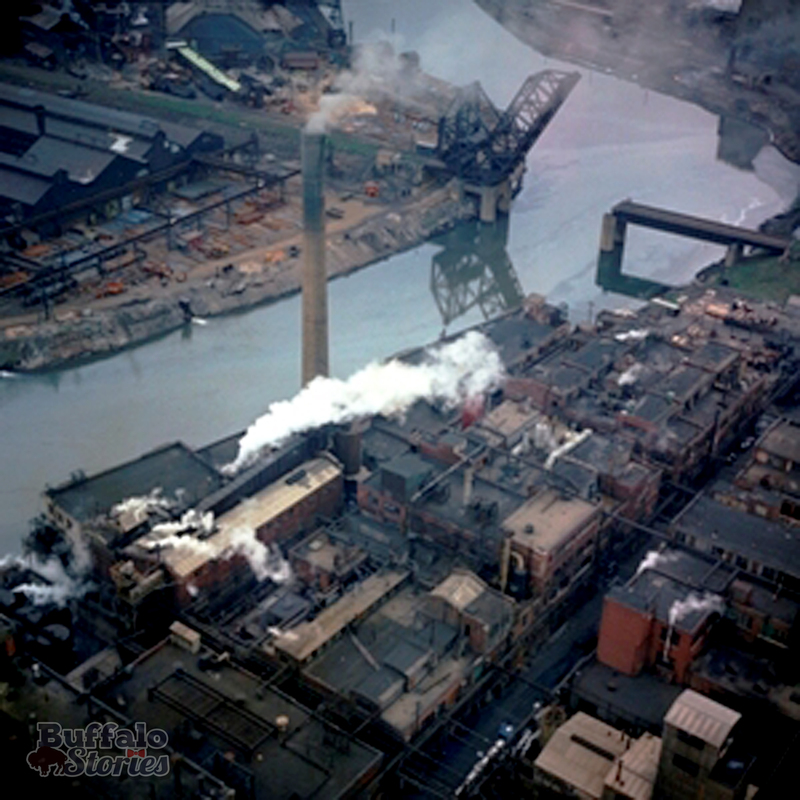 The area now known as the RiverBend, where the Buffalo River meets South Park Avenue, was home to a steel plant and chemical factories, making the area highly contaminated. There weren’t resounding calls for remediation and reuse. But the area was once home to thousands of good-paying jobs. Buffalo Color, the last part of a much-larger operation that was once National Aniline and Allied Chemical, closed in 2000. Across the river, Republic Steel closed and tore down its steel plant in the early 1980s. This photo shows the build out of both National Aniline and Republic Steel in 1949. The single drawbridge at the top of the photo went over South Park Avenue. As you can see in the Google Maps image below, most, if not all of the buildings pictured are now gone, but new buildings with new jobs are coming up in their place. A DEC photo from 1967: Historic photo of the Buffalo River. The former Republic Steel plant is to the left of the river and the former Buffalo Color plant is to the right. Bethlehem Steel’s Lackawanna plant was at one time the largest in the world and employed 20,000 workers in the manufacture of steel. 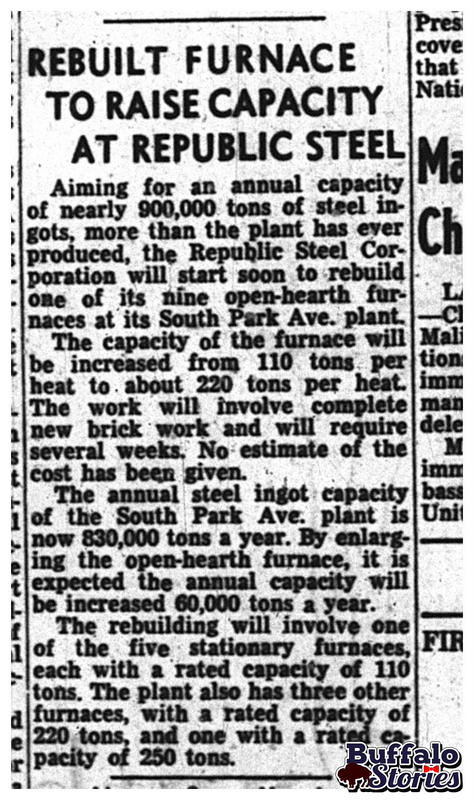 It was the same sort of work happening a few miles away on South Park Avenue along the Buffalo River at Republic Steel. Thousands worked at that plant as well, and the hope was that, with changes announced 65 years ago this week, the plant would be able to churn out 900,000 tons of steel each year. The plant was closed and demolished in the mid 1980s and is currently the site for the state-funded RiverBend project, set to be home to SolarCity.